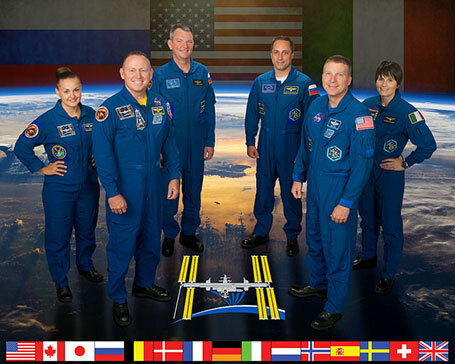 The crew of the Soyuz TMA-14M undocked from the International Space Station today bringing to an end the Expedition 42 mission on the station. 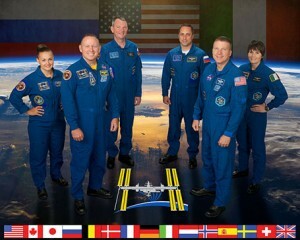 Astronaut Barry Wilmore and Cosmonauts Elena Serova and Alexander Samokutyaev spent 167 days aboard the station during which time they performed six EVA’s and saw the arrival of three cargo vehicles and departure of four. During the spacewalks the crews prepared the station for the reconfiguration to allow the new commercial crew vehicles being built by Boeing and SpaceX to dock with the station, and the additional of a new inflatable module from Bigelow Aerospace. The crew also spent a significant amount of time working on numerous experiments during there time on the station including on themselves. Below are some images captured from the closing of the hatch. We will post a followup article once the crew has landed safely later today.